Nathaniel Boyle is all-things travel. He is the founder of the online creative travel community Holocene, the host of “The Travelers” podcast, and named by the White House as one of the Top 100 Influencers in travel. Now that I’ve said “travel” enough, let’s talk beer! 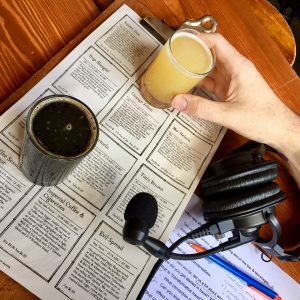 In this episode, Nathaniel stopped through San Francisco on his recent Transformative Travel Tour, and as a fellow beer enthusiast, we met up at San Francisco’s Cellarmaker Brewing for a sampling of West Coast IPA’s. Amidst the brews, we chatted about this newfound concept of “transformative travel,” his drinking stories from around the globe, baseball, and the creative and cultural impact of brewing and sharing a good craft beer. 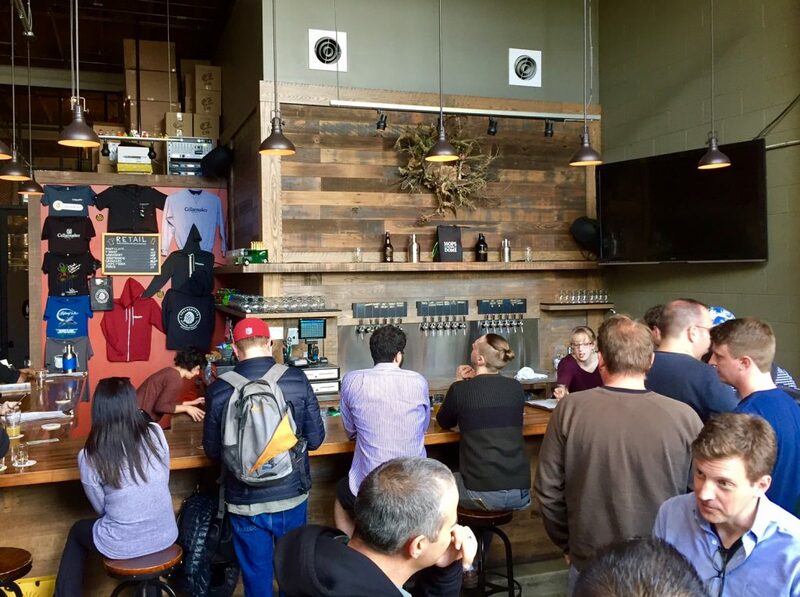 Cellarmaker is a small-batch brewery with a cozy taproom in the heart of San Francisco’s SoMa neighborhood. In a part of town that is also home to Twitter, Uber, and plenty of other startups, Cellarmaker is a refreshing change of pace, serving up juicy IPAs and other creative brews. While they have constant staples like the “Coffee & Cigarettes,” there’s always something new, so you’ll never see the same beer list here twice! 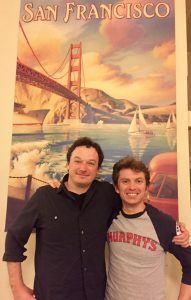 Nathaniel hasn’t been to San Francisco for nearly 2 decades. That last time he was in northern California he was driving California 1 while still on his learner’s permit, which is pretty impressive. We open by paying our respects to Boston’s own Sam Adams and for spearheading the craft beer movement. 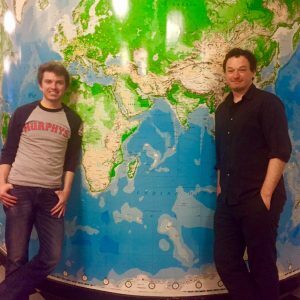 Nathaniel started his travel podcast “The Travelers” a few years back with the intention of making it a “travel for less”-style of show, but quickly shifted to the travel-inspired stories that many of his guests were bringing to the episodes. Through a home share, Nathaniel’s mom once traded their house in New England for a castle in Europe. From there, he developed 1.) a childlike sense of wonder that he still associates with travel, and 2.) the sense that travel can be more than just an escape, but the thing that we turn to for what might be missing in our lives. 3 commonalities Nathaniel saw from his podcast guests: they were either stuck in Resistance, on an Adventure, or Creating something on their return to actualize their adventure. What connection does travel have with beer? A very quick way to tap into a country’s creative scene is to tap into their craft beer (pun intended). We get off on a restaurant tangent for a bit. Shoutouts to New York’s Babbo, Cleveland’s Melt Bar & Grilled, and some San Francisco staples like Deli Board and Yamo. While bartending in New Zealand, watching drunk Australians, Americans, and Kiwis pick fights with giant bouncers was Nathaniel’s after-shift pastime. Nathaniel drank fermented horse milk with nomads in Mongolia, which in turn led him to also drink horse milk vodka. The Trans-Siberian Railway more or less has random Russian guys that will pop into your train car with vodka. After getting off on a baseball tangent, we discuss the situational nature of a good meal and a good beer (macrobrews included). This includes Nathaniel’s travel tales of home cooked meals in Los Angeles, New Zealand, and Bali. Vermont has the “IPA Highway”…look it up. Nathaniel went to film school, and would grab a drink with director Stanley Kubrick (The Shining, Full Metal Jacket, Eyes Wide Shut, 2001: A Space Odyssey, etc.). A handful of shoutouts to some of America’s greatest food cities (New York, New Orleans, Houston, and of course San Francisco), and we’re out! Mo’ Nelson – An IPA with a combination of Mosaic and Nelson (and Columbus) hops. Double Dobis – A 100% Citra-hopped Double IPA…there were pineapples drawn next to this on the beer list chalkboard, but it turns out “dobis” is not Latin for “pineapple.” Other flavors included melon, orange, and lychee. Juicy, but more bitter and malty than the Mo’ Nelson. Orange Julian – I snuck this taster into the first round (while Nathaniel followed suit in Round 2), which was the juiciest of all, containing Mosaic, Nelson, Simcoe, and Citra hops. Definitely a thick, hazy New England IPA (warranting a shoutout to Bissell Brothers in Portland, Maine!). 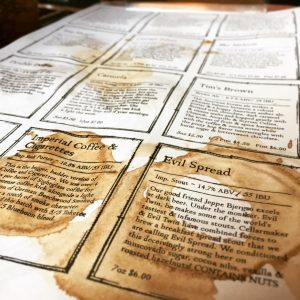 Imperial Coffee & Cigarettes – While the “Coffee & Cigarettes” is one of Cellarmaker’s staples (and probably my personal favorite), this version comes with additional smoke character and more intense coffee flavor. Brewed with Sightglass Coffee, a local SF coffeeshop located just down the street. City Beer Store – A great bottle shop and bar. 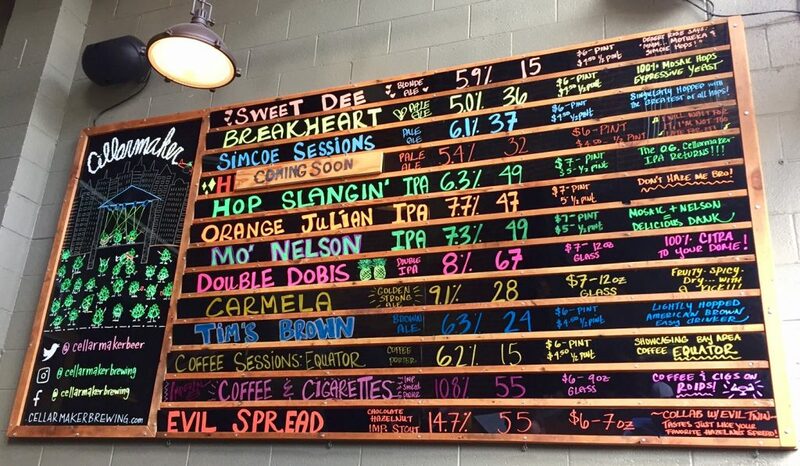 Some of the best beers in the Bay Area (and otherwise) can be found here. Bloodhound – Cocktail bar right around the corner from Slim’s. A prime spot to pregame before a show, or when you’re looking for an excuse for a good drink and some pool. Holocene.io – Nathaniel runs this creative travel community for breaking down the barriers between where you are and where you want to be, empowering you to explore the world for yourself through travel and creativity. It includes travel deals, mentorship, and access to a community of other travelers that are exploring the world and their creative passions. You can find Nathaniel at his travel community Holocene.io. They also have a sick Instagram account at holocenecollective, or looks Nathaniel up on Twitter at @Nathaniel. 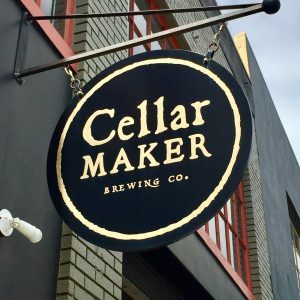 Cellarmaker Brewing Co. is located at 1150 Howard St, San Francisco, CA 94103. Taproom hours are 3pm to 11pm Tuesday through Thursday, 12pm to 11pm Friday and Saturday, and 1pm to 8pm on Sunday. Closed Monday. “Hooray For Beer” by Bowling For Soup. Check them out at BowlingForSoup.com. This was such a fun episode! And left me thirstier than usual, I’ll have to admit. Lesson learned, have a pint while listening to the show! It is really interesting how craft beer is really popping up everywhere and how far it has come since the Sam Adams days. That was the very first brewery I ever took a tour of!